Nine Lives is out today on DVD and my fellow felines who are reading this purr out the news to your owners. Walk across their key board and make sure your owners see this link where they can score Nine Lives on DVD for $14.99 or on Blu-Ray for $19.99! An all-star cast, a collection of cats, whats not to love? 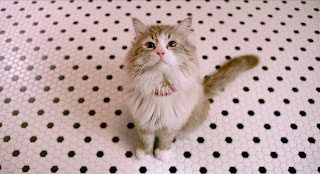 Kevin Spacey, Jennifer Garner, and Christopher Walken star in this purr-fect family comedy. 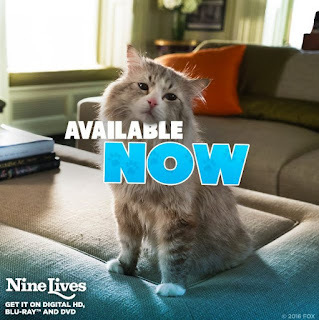 Nine Lives is sure to make a cat-lover out of everyone as you and your family enjoy all of Mr. FuzzyPants' hijinks! Tom Brand (Kevin Spacey) is a daredevil billionaire at the top of his game. His eponymous company FireBrand is nearing completion on its greatest achievement to date – the tallest skyscraper in the northern hemisphere. 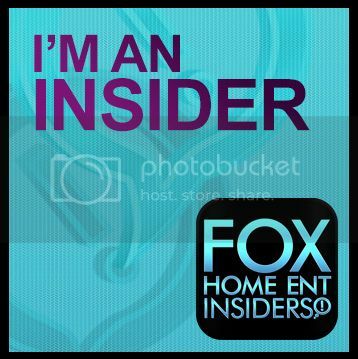 But Tom’s workaholic lifestyle has disconnected him from his family, particularly his beautiful wife Lara (Jennifer Garner) and his adoring daughter Rebecca (Malina Weisman).